The wedding world has countless, long-standing traditions that have been the standard for so long that they are now expected at every single wedding. However, much like everything else we know and love, the younger generation is here to challenge those traditions. As a pesky millennial myself, and one who was recently married, I’d like to shed some light on the ways wedding etiquette and traditions have been altered in the last few years. We’re not just talking about getting rid of the garter toss, but everything from how your guests RSVP to what they are allowed to do on your big day has evolved. Let's take a look at how millennials have shifted wedding traditions. From the beginning shall we? Traditionally, the first interaction couples would have with their guests was to send them their beautiful, painstakingly chosen, hand-crafted stationary, complete with RSVP cards, menus, venue maps, and so on. Sound familiar? While many couples still send out physical invitations (which, as a wedding enthusiast I recommend), they are instead more commonly mass produced. The information in invitations nowadays doesn't include much more than the bare minimum, sending guests on a scavenger-type hunt to find their wedding website. Companies like Wedding Paper Divas and Minted make it far easier (and subsequently far less personalized) for couples to order invitations in bulk, just copying and pasting guests' names into a template. The “modernization” doesn’t stop there. As I mentioned before, in my case and the case of many other young couples, RSVPs are now done via the internet, through wedding website hosts like The Knot. From an “about our relationship” tab, to a virtual guest book, these website hosts take everything you know and love about weddings and shove it onto a computer screen. From the couple’s perspective, all of these modernizations may sound pretty convenient. Once your website is up, all you have to do is sit back and let the RSVPs come flowing in, right? Wrong. Most of my older guests, and even a few of the younger ones, were thrown back by the fact that they didn’t have a physical RSVP card to mail back to me. Not only did I have to reach out to half of my 200 invited guests to get their RSVPs and meal choices, but those who did use the online platform often made mistakes. They RSVP'd twice, forgetting that they had already done it. A few added in the name of a plus one when they weren’t allotted one. Some even changed their minds about their meal choice, and went in to add their name a second time in order to reserve the bison rather than the chicken. It turned into a huge ordeal! But, my guess is that my experience with RSVPs wasn’t too different from a mail-in experience. The moral of the story is, if you're a guest and attempting your first online RSVP, adhere to the following guidelines: 1. Read (carefully) through the prompts. 2. Pick your meal and stick to it. 3. Make sure you do, in fact, have a plus one before you ask your brand new boyfriend to be your date. While you are scrolling through wedding websites, you may come across the couple’s *gasp* online registry! Online registries are also up-and-coming, and what is on them may come as a surprise as well. Many younger couples don’t value traditional gifts as much, so another way millennials have shifted wedding traditions are by opting for “experience based” registries instead. You can give the couples money towards their honeymoon fund (something my husband and I were grateful for), towards a weekend away in a cabin, or any other number of date nights or activities. If the couple does go with traditional gift requests, another upside to online registries is if a couple later decides they no longer need that 6-speed mixer, they can trade it in for registry credit and pick something else entirely. If all of this is far too confusing, there is always the much-appreciated envelope of cash dropped in the card box on the day of the wedding. Speaking of the wedding day, we all know smartphones are the be-all-end-all of the millennial generation, and being at a wedding doesn’t change that. It’s no longer taboo to whip out your phone and snap some photos of the bride, unless there is some sort of “unplugged wedding” signage instructing you otherwise. Just do everyone a favor and don’t post them before the ceremony even begins. 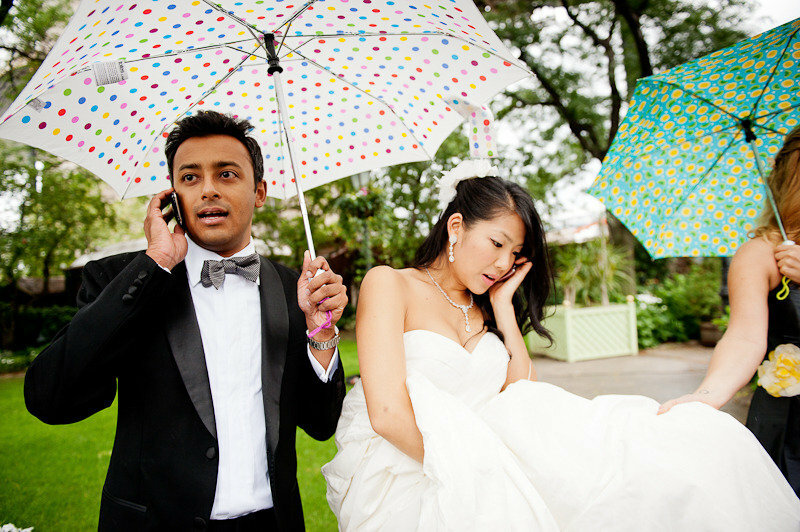 Many couples could care less if you snap away on their big day, some may even request it. Personally, I was happy to see photos posted on Facebook and other social media sites because it allowed me to re-live my day while I was waiting for my professional photos to be ready for pick up. It also allows the experience to be shared for out of town guests and those who weren’t able to make it, albeit on a smaller scale. Hashtags are also a hot commodity now, making it even easier for couples to find all the photos of their big day. If you are requested to use the couple’s hashtag, please do, no matter how embarrassing it is to type out #twowongsmakearight. There are countless other ways how millennials have shifted wedding traditions, like the bride not wearing white (or even a dress for that matter). Couples are combining their mother/son, father/daughter dances, serving donuts rather than cake, even marrying themselves (which IS legal to do in Colorado). However, as a guest, please do your best to sit back, relax, and navigate the world of wedding technology tastefully.